An Inukshuk is an Arctic guide-post. I liked the ambiguity of the title because one may choose to see either the sun or the inukshuk at the guide. 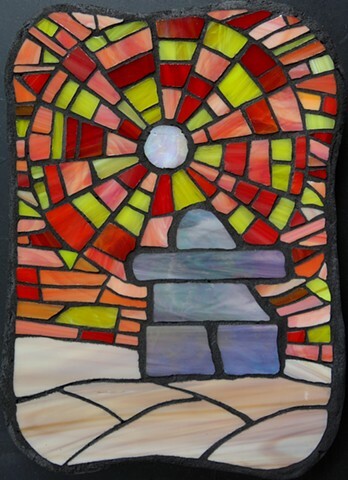 The inukshuk is a created with violet iridescent (glowing) glass and the sun is a wavey, textured white iridescent.